For those of you who live in colder climates, you understand air quality issues including keeping adequate moisture in the air of centrally heated homes. These problems mostly surround the safety, dependability, and maintenance of a device called the humidifier. 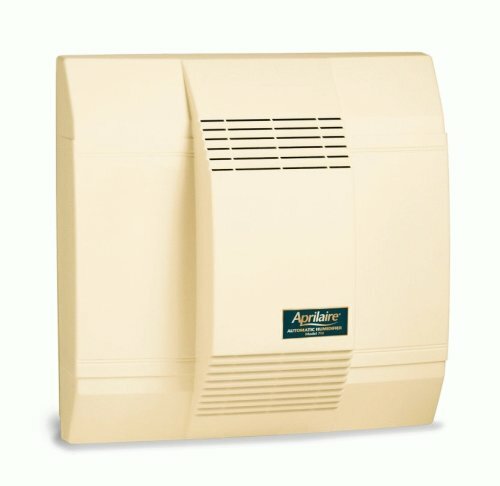 Indigenous to cold icy climates, the ubiquitous high-maintenance automatic humidifier hangs out in most furnace rooms. For those of you who live in say, Honolulu, lucky for you, this is a problem that is nonexistent. But for those of us who live among the icicles and this white stuff common to ski-slopes, our health and well-being depend upon this hideous contraption. It’s a device that often does not work well and requires our attention more often than we wish. It’s an invention that, for all intent and purposes, has not changed since the conception of forced hot air central heating in the early 1900s. I myself live in a typical Midwestern climate where temperatures can range from 0 to 30 degrees Fahrenheit during the three coldest months of the heating season. In all of the places I lived, I've had some sort of centralized humidification installed in a forced air heating system. In the last 60 years of my life, sadly, little has changed in the technology of adding moisture to heated air. The main issues the furnace gurus talk about include: mineral deposit buildup, electrical usage, water usage, water quality, unit reliability, and cost & ease of maintenance. Inline Plate – a row of parallel paper or fiberglass plates whose ends are suspended in a pool of water. Drum Bypass – revolving sponge drum with furnace air passing through it. Disk Bypass – revolving set of discs with furnace air passing through them. 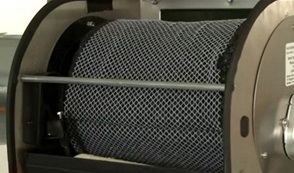 Panel Bypass – a fixed coated multi-layer steel mesh with water flowing through it and furnace air passing through it. 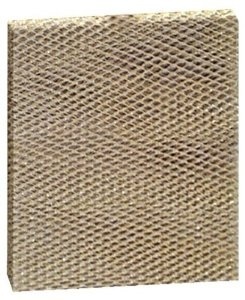 Powered Panel – a fixed coated multi-layer steel mesh with water flowing through it and a fan forcing furnace air through it. Steam Resistance – a device that uses a heating element to boil water into steam which is shot into a furnace’s plenum. Steam Electrode – a device that uses electrolysis to boil water into steam which is shot into a furnace’s plenum. 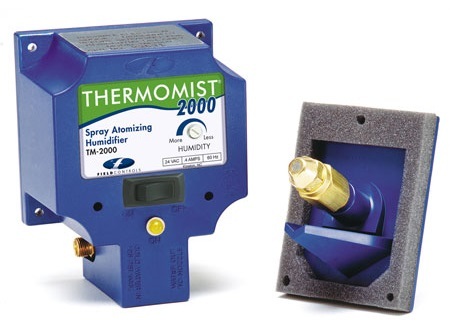 Pressure Spray Mist – Pressurized sprayer that creates a fine mist that is shot into a furnace’s plenum. 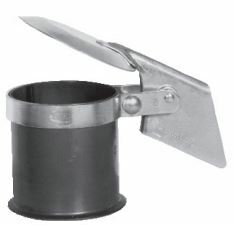 Centrifugal Atomizing Mist – Rotational diffuser impeller with very fine teeth that flings and atomizes water into a fine mist which is blown into a furnace’s plenum. Ultrasonic Mist – an ultrasonic transducer that vibrates water into a fine mist which is blown into a furnace’s plenum by a small fan. The first system I lived with was one my father got from Sears and installed in his 1930s forced air coal fired furnace which he later converted to natural gas. This humidifier had a long rectangular copper pan like affair extending from the front of the furnace plenum inward towards the back suspended directly above the heat exchanger. On the front end of the tray or pan was a reservoir with a float valve that was attached through the front plate to the pan by a short piece of pipe. This allowed water to flow into the long pan filling it to a set level. Sitting in the long pan was a dozen or so thick vertical absorbent porous paper like cardboard plates extending up from the water. The hot blowing air would pass between the plates evaporating the water adding some moisture to the air. The problem with this system was that calcium/lime/mineral deposits would quickly build up in and around the copper pan. Also the plates would last only about 1 to 2 months depending upon the degree of heating required. The humidification would also vary with heating load. Finally, there was no way of regulating the degree of humidification. It was always on. The terms Bypass and Powered refer to how air is circulated through the water soaked medium. In a bypass setup. 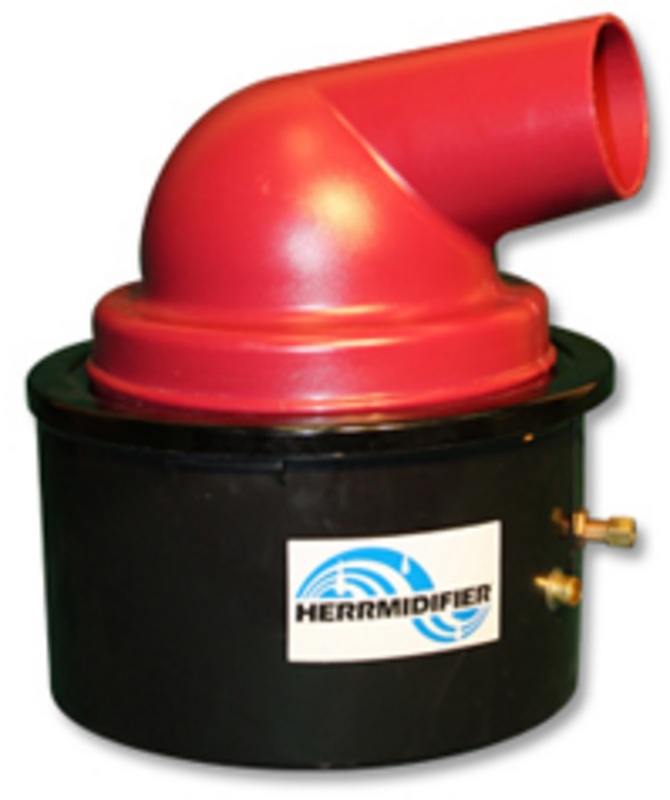 the humidifier relies on the furnaces blower to move the air through the medium. It basically steals a bit of heat and air to create humidity. The furnace people say that the air used is insignificant and that the loss is negligible. However, several issues can arise such as a the internal parts of the furnace such as the filter, heat exchanger, and fan are exposed to high humidity. Also, high velocity furnaces will loos considerable head pressure through the bypass duct. Next, there is the necessity of closing and opening a vent damper during the air conditioning season. 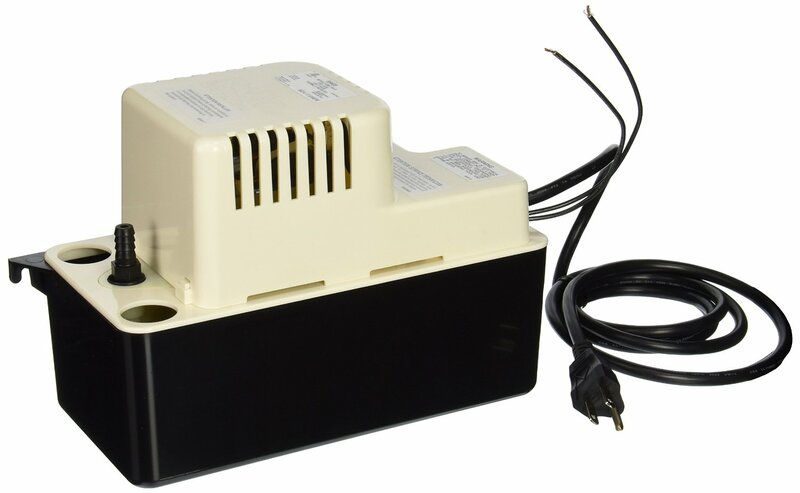 A Powered humidifier has a built in fan that circulates the heated air from the heated plenum. There is no necessity of opening or closing a damper during the heating and cooling seasons. The next system I used was in several homes I purchased after I left my parent’s home. These were what I called the hamster wheel or drum type humidifier. 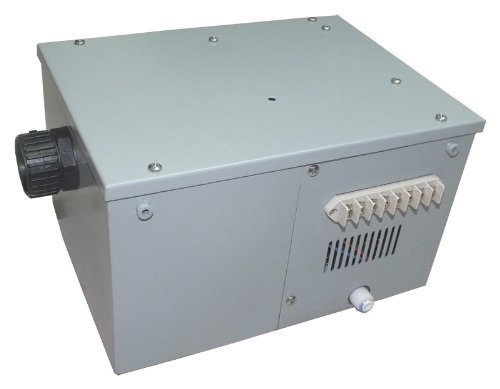 These are known as bypass humidifiers because they use a small amount of airflow piped from the heated plenum through the humidifier to the cold air return. This type also had a pan that was filled with water via a supply tube and the level was regulated by a float valve. But instead of having cardboard plates in the water, it used a revolving cylindrical course sponge slid over a frame. The side of the drum or sponge was set about a half inch into the water and when humidity was called for, a motor would rotate the sponge picking up the water as the hot air would pass through the course sponge evaporating the water. The humidity is regulated by the humidistat turning on and off the motor that rotates the sponge. The problem with this type was it was a high maintenance pain in the … Mineral deposits would accumulate on the sponge within 2 months reducing its effectiveness, not to mention, the float valve would either get stuck open causing water to drip all over the basement floor or closed not allowing any humidification. It was a regular task to dismantle this thing and soak everything in vinegar. I had a drywall bucket I kept vinegar in and I would reuse this liquid several times during the heating season to dissolve the lime buildup. Also, my home had air conditioning, and I had to remember to turn off the water supply and close the damper located between the hot and cold air. I found that most people forget to do this, or worse, don’t even know how to do this maintenance. It was about 15 years ago when I got the bright idea of solving the lime buildup problem by using the house RO water filtration system for the humidifier. This was a big mistake. After about a month, I opened up the unit to check on it and found this brown slimy sludge everywhere. The mold and bacteria had a field day growing in the warm moist air. Needless to say, I had to clean up the mess. I switched back to tap water with its chlorine and minerals. Oh, I then decided to have a water softener installed. Instead of lime deposits, I had salt deposits. It was, however, easier to clean the accumulated salts off. Still, there were some hardened minerals present. The water softener didn’t filter out 100% of the lime in the water. Note. Disc type humidifiers may be a little more efficient, but they too are also subject to lime buildup. And, the so called scraper (which everyone eventually removes) and drum easily gets jammed up with the drive motor burning out. Also, unlike the sponge cylinder, the disks are really not reusable. The next type of humidifier I had was in the current home I purchased about six years ago. 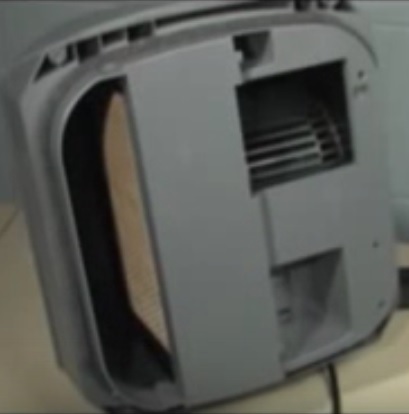 This box like bypass humidifier also circulated the heated air through the humidifier to the cold return. This box was similar to the above revolving cylindrical sponge type except that it employed a slowly dripping water shower to saturate a 14 inch square panel made of many layers of coated lath like aluminum mesh that was about 2 inches thick. 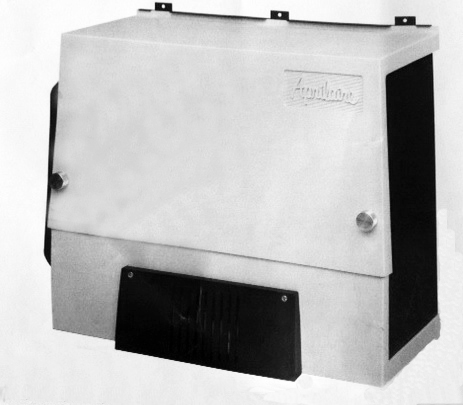 When the humidistat called for humidity, a solenoid valve would open allowing the water to flow through the panel. Condensate pump used in lieu of a floor drain. Note the following type of humidifiers require a floor drain. This type of humidifier had much less buildup of mineral deposits as opposed to the hamster wheel type. The reason for this was that for every gallon of water put into the air, another 2 gallons or so of water was flushed down the drain. This process was supposed to flush the mineral rich water away minimizing the buildup of lime on the mesh media. Still, one did have to replace the mesh panel once at the beginning of the heating season. These panels weren’t cheap, costing an average of 15 to $25 each depending on the size needed. Then there was the issue of twice to three times the water usage. A year after I moved in, I had the heating system replaced with a more efficient unit. I also had installed an efficient air filtration/purification system that used a combination filter medium and electrostatic precipitation. 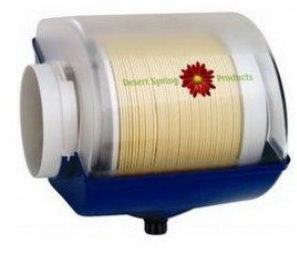 This filter was quite effective at removing allergens and dust from the air. But when I had the furnace replaced, I kept the old bypass panel humidifier. A year later, it came time to replace the filter medium in the new filtration system. Upon changing the paper filter, I found that considerable mold had formed on the paper. I went back and read the instructions that came with the filter. That’s when I discovered that the humidifier I was using was what was causing the mold spots on the paper. The warm moist air from the humidifier return was being piped in before the filter and not after. There was no room to attach the pipe after the filtration process. So I decided to seek a different solution. The next system I got was a steam generator humidifier. This was the much maligned Honeywell TrueSTEAM. This system would use an electrical heating element immersed in water in a reservoir to boil water and then shoot this steam into the plenum where the forced heated air would dissipate moisture into the house. This was a system not without its problems. In the first two months of operation, lime deposits would build up on the heating element even though the humidifier had a flush and fill cycle. To counter this issue and at the recommendation of the manufacturer, I soaked everything in vinegar to get rid of any of the mineral deposits and then piped RO water to the unit. I also reduced the flush cycles to a minimum. This was the best solution, or so I thought. Though there was no lime buildup and the system was virtually maintenance free, I failed to take into consideration the power requirements of steam humidification. Depending upon the humidification requirements and the size of the humidifier, steam units can take as much as 850 to 3400 watts per hour of operation. Also, the unit took time to start boiling water to generate steam and, during short cycles, it would never develop enough humidity. It was basically rather expensive to operate. Also, because this $700 thing got very hot, it had a rather short life expectancy. And, because its exterior got really hot, it was sort-of dangerous. Finally, there was the issue of increased water usage from the RO filter and significantly increased RO filter costs. 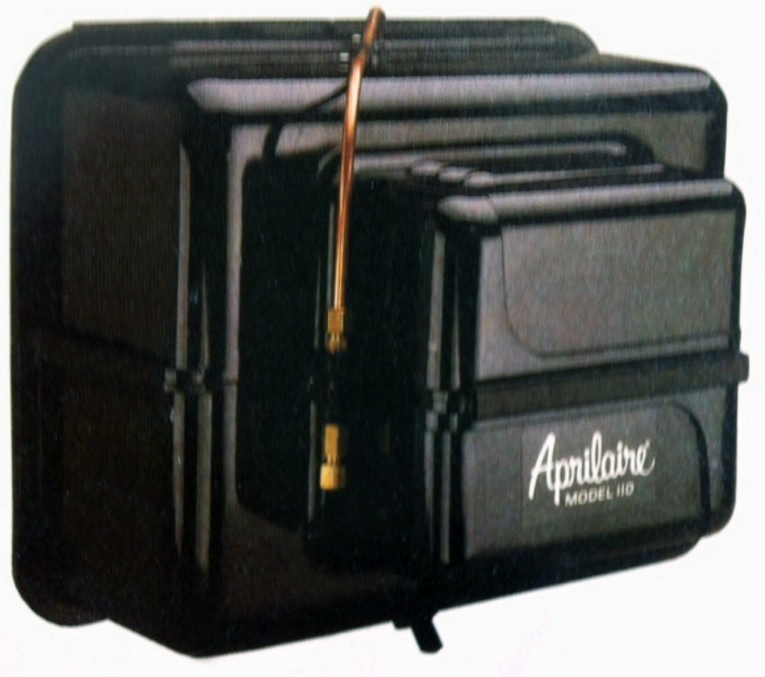 Aprilaire makes a model called the 800 Steam Humidifier which uses conductive mesh non-stainless steel electrode probes emerged in a water tank. The electricity passes between the probes through the water and this process of electrolysis causes the water to boil. RO water cannot be used because the production of steam will not occur. This is because pure water has a much higher resistance than that of water with minerals. Also, 240 volt units work much faster and have greater steam output. Finally, the steam producer tank (canister) and probes must be replaced as a single unit every year at a cost of 60 to $90 plus installation. The unit should not be connected to deionized water (DI) or reverse osmosis (RO) systems. Both DI and RO water lack enough conductivity required for the humidifier to operate properly. In addition, DI water can have a corrosive effect on the non-stainless steel components in the system, leading them to pre-mature failure. Ummm, I remember from science class that when electrolysis is used to boil water, there is said to be a separation of hydrogen and oxygen. I wonder if there are some issues here. The next system contemplated was cool mist ultrasonic. To date, there are none that are really available. After some investigation I found that mold and bacterial was a major consideration with this type of system. Though this technology has been used in small plastic free standing appliances commonly found in many homes, a built in unit has a number of potential liabilities associated with the spread of bacteria along with anything else that happens to be in the water. OSHA IAQ standards make it essential that no potentially harmful chemicals be introduced into the air, and that no environment that supports bacterial growth be used in building humidification. Simply put, ultrasonic transducers will not only atomize the water, they will also do the same with anything else that could be in the water. After much wrangling about RO water, automated flushing and such, it has been decided that such a system would be too costly to build and maintain. 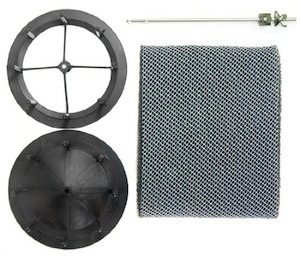 The next system would solve the issue of the mold buildup in the filter. 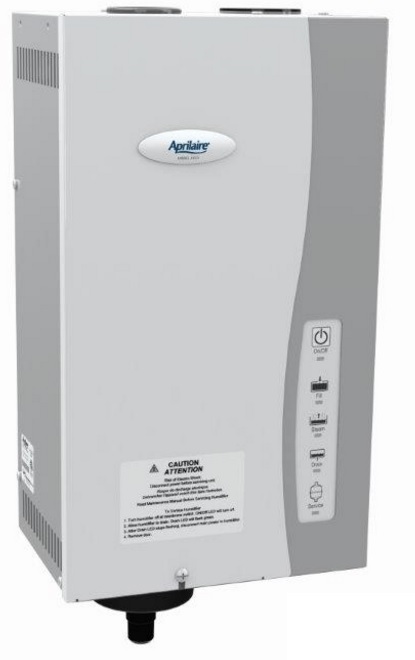 The manufacturer of the air purification system recommends a powered humidifier, a self-contained water panel type of humidifier as being a good alternative. Instead of using the furnace fan to push air through the water soaked medium, these systems have their own fan that circulates the heated air from the plenum through the medium and back into the plenum. I remembered that I had such a unit stored in the attic that someone had given to me many years before. I fished it out and started to clean it up. I then noticed that it had a bad crack in one side of it. Also, the motor and valve were not working and along with a number of plastic internal parts, they needed to be replaced. I then contemplated the purchase of a new unit for about $300. After reviewing the installation manual, I nixed that idea. These units require a substantially large hole to be cut into the plenum. I didn’t have that much area I could mount the unit on. Another issue with evaporative systems is the heating system I had installed has a feature that, if there was not enough humidity added during the heating cycle, the furnace would keep the fan going at a low speed to allow for the completion of the humidification cycle. This was good with the steam generation system because the humidifier would generate steam. However, because the air is cool, evaporative humidifiers would become much less efficient sending much more water down the drain than was being put into the air. I really wanted to find a more efficient “green” method of generating moisture. I searched the web for some sort of cold mist system. The only method I could find was these high pressure mist spray systems that were fraught with problems. It was the water quality issue again. Not only was there lime buildup in and around the nozzles, but there was this fine white dust that would appear everywhere around the house. Using RO water was a problem because for every gallon of water used, there was two that were flushed down the drain in making the RO water. Also, I would have to add a compressor to feed the sprayer because the RO system output has very low water pressure, about 7 PSI. Then there is the added cost of more frequent costly RO filter changes. There is another alternative that mists the water by way of a spinning fine slotted wheel. The mist is also blown into the plenum by way of the same motor that spins the slotted wheel. This unit can use RO water at its 7 lbs. pressure. I like the idea of the panel type powered humidifier. There is no cleaning, summer-winter settings, no RO filter changes, uses much less electricity, and the panels are easy to change and are relatively inexpensive, about $20 a year. Also, the water usage is much less expensive than boiling water to make steam. 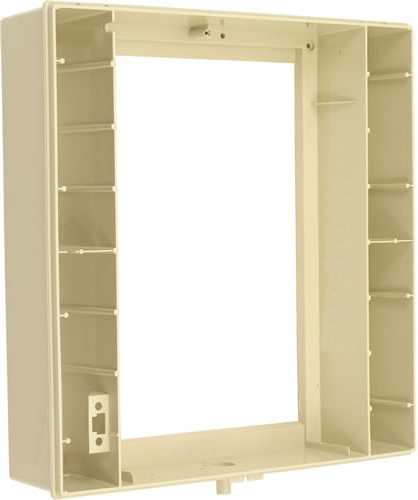 An electrical box to hold all the electrical stuff including fuses, relays, transformer, and electrical connections for the fan and heating element. The idea here is to build a fully automatic system with minimal cost and maintenance. The water usage will be just about the same as the above steam system with RO water. The only maintenance will be a small expense of the yearly water panel change. But this will be offset considerably by a much, much lower electricity usage. To do this, I will have to make a box to adapt the back of the humidifier to fit a small area of the available plenum space, the same area as the round duct. This will include a place to mount the heating element in the path of the air to the water panel. I will then have to make mounding brackets to hole the duct fan & flex duct and connect everything including the flange on another part of the plenum. When the furnace calls for heat, current will energize the gas valve. In doing so, it will also energize the relay which disconnects the heating element installed in the humidifier. 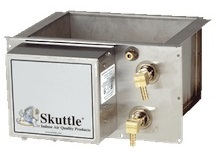 When there is heat, no need for the heating of the humidifier inlet air. When the humidistat calls for humidity, the humidifier water valve is energized allowing water to flow over the panel. 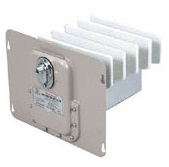 It will also energize the main power relay which powers the circulation duct fan as well as the heating element. Remember, the heating element relay is energized turning off the heating element. Then when enough heat is generated and the thermostat calls for heat shutdown, the gas valve is closed and the heating element relay is energized causing the heating element to be connected. If the heating system has detected that not enough humidity has been produced, it will keep the main fan going at a lower speed and the humidifier activated thereby keeping the valve open, the humidifier duct fan running, and the heating element on. The idea of the heating element is to increase the efficiency of the production of humidity. 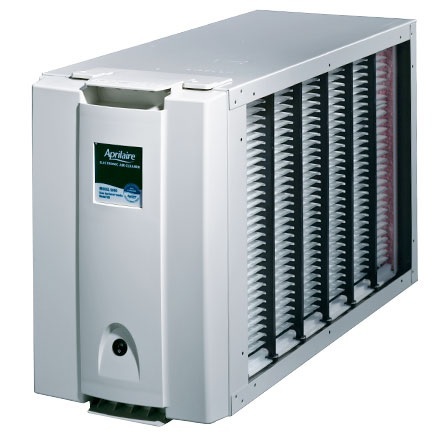 Since the furnace is a three stage system, typically the need to heat the humidifier inlet air will rarely occur. If anything, this may happen after short heating cycles or long periods of no heat. 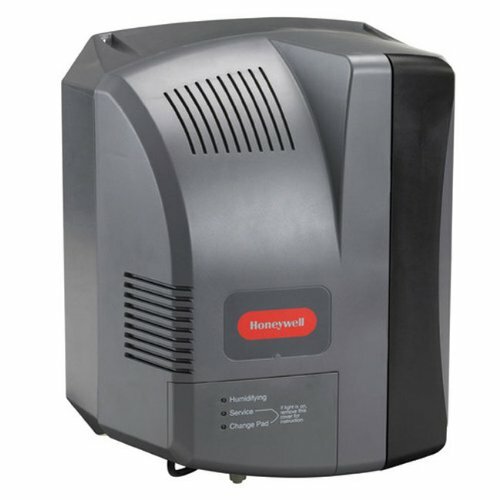 Well, Honeywell makes a unit that pretty much does the same thing except that it does not heat the air. The only minor drawback is the expense of having the furnace fan run on low for longer periods of time during the humidification only cycle. This unit does regulate water flow such that it only dumps waste water proportionally to the amount of moisture being generated. Mounting this unit is different than most other fan powered units in that the fan output and air input are located apart from each other such that it is possible to fabricate a sheet metal adapter to fit it to a small area on the plenum. This system, unfortunately, is the best type for humidification. It's automatic, very low maintenance, and requires only a filter change once a year. The humidity it generates is very clean with no potential toxins, carcinogens, or smells that might accidently be in municipal or well water or be there from bacteria or mold. 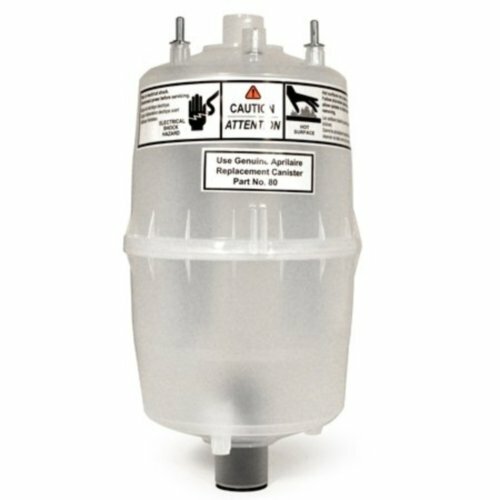 The filtration system returns water that is 99.9% pure and the humidifier boils the water killing any potential bacteria or mold that could otherwise grow in the tank. The tank is sealed keeping dirt, dust, mold, bacteria, and anything else from contaminating the sitting water. To back this up, the system periodically flushes the tank. 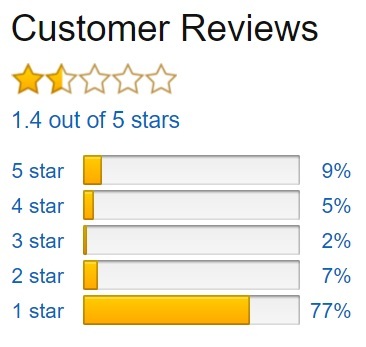 I say unfortunately because this plastic thing has many really terrible reviews. For one thing, the electronics are mounted above the heated steam generating tank. Most of us electronics hobbyist know that electronics, especially solid state devices like transistors and ICs don't do well with heat, not to mention electrolytic capacitors. Though the capacitors used in this unit have a high heat rating, they still dislike a lot of prolonged heat and will eventually fail. 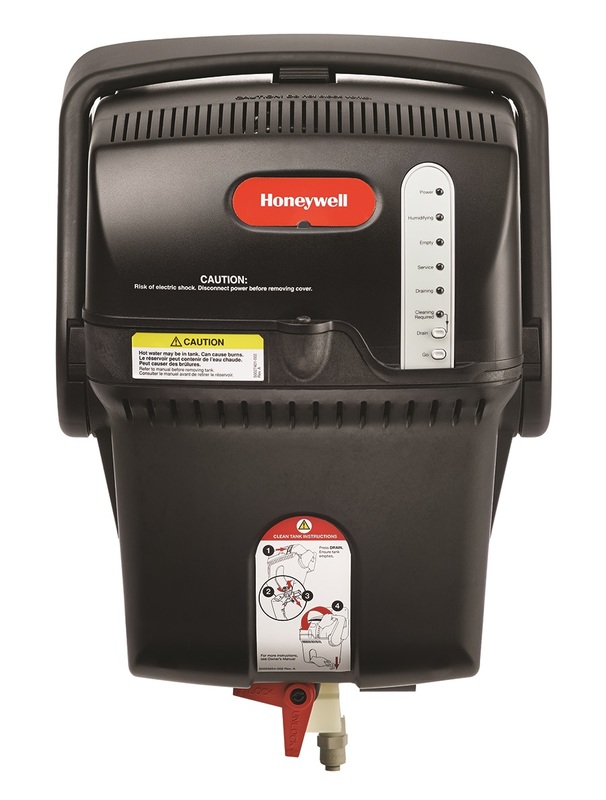 Another issue is what Honeywell has discovered in 2014. The plastic tanks do fail because of the heat. As of this writing, February 2016, they still have yet to remanufacture replacement tanks. The new prototypes keep failing safety tests. The final two issues are, this device must be used with RO water and it is difficult to replace parts on it. Honeywell service says that the heating element is not replaceable that the unit has to be replaced. This thing is basically a weird kludgy mass of bad engineering and it feels unsafe. But, it is the only system, period, that produces clean pure humidity. I've lived with this thing for over three years now and I've not had any respiratory issues like I had in the past during the prior winter months. But since the tank failed this last fall and started venting steam, I've had to shut it down and wait for a replacement tank. I've been sublimating the humidity with an ultrasonic mist box in the bedroom. My nose has been having problems and my skin has been unusually dry. What about energy costs, you ask. Well, it's not as bad as I initially thought. In looking through utility electric usage before the unit was installed and afterwards, I found that it is acceptable. The following is what I came up with. Note. 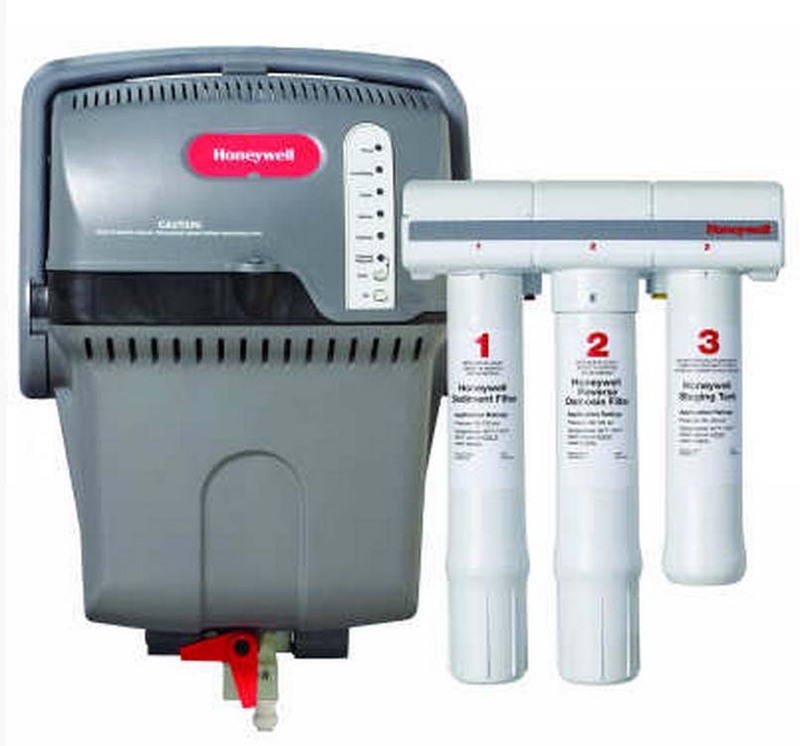 Instead of using the Honeywell RO filter, I'm using water from the house RO system. This means changing the filters and membrain more often. Note 2. As of this writing, Honeywell has taken the Truesteam off the market. 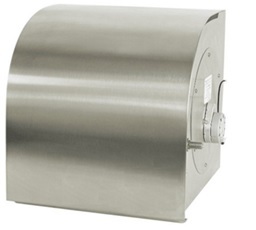 There is a really well made all stainless steel steam humidifier that can use RO water. The problem is, the top of the water tank is wide open to the inside of the furnace plenum where anything like dust, dirt, bugs and mold spores cam just fall right into it. Note. All parts are replaceable on this unit. Also, it costs less than the Truesteam as well as the Aprilair 800. I thought of modifying this thing by adding a removable sealed top with a small short piece of pipe and a lifting lid for the steam to come though. Then after the unit shuts down and as the displacing steam cools & condenses, air will be pulled though a fibrous gasket attached by a rivet to the lid which would put it between the pipe's rim and the lid.